Diane (Lainie's mom) contacted me back in February about designing invitations for the bachelorette weekend that her and Lainie's maid of honor were planning for Lainie. I've never been to Las Vegas and what these girls had planned for Lainie made me jealous to say the least! :) Lainie and her girls are heading from Laguna Beach to Vegas in a limo, staying at the Bellagio Hotel for two nights and are taking in many of the sights and activities that Vegas has to offer! 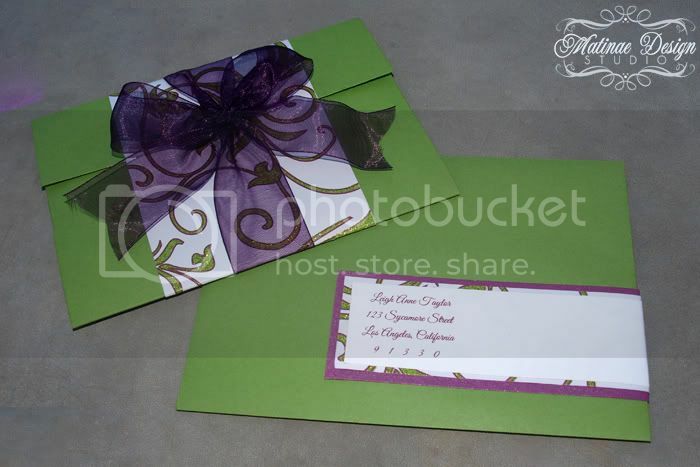 After discussing the details with Diane, we noted that there was a lot of information that she wanted included so we opted for a pocketfold invitation. 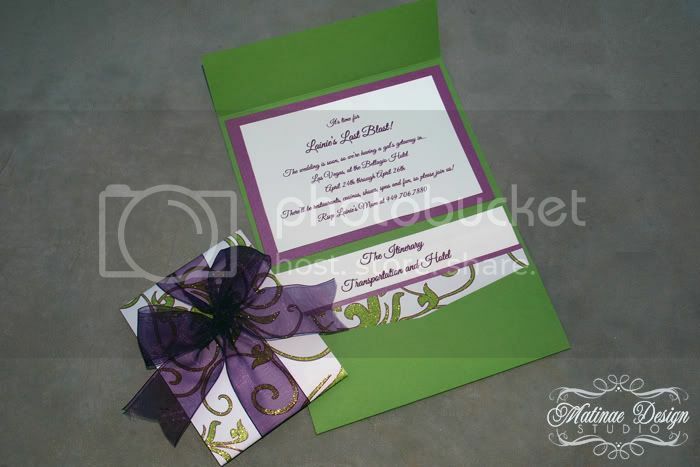 Her only request was that the invitations were eye catching but without using pink or black. 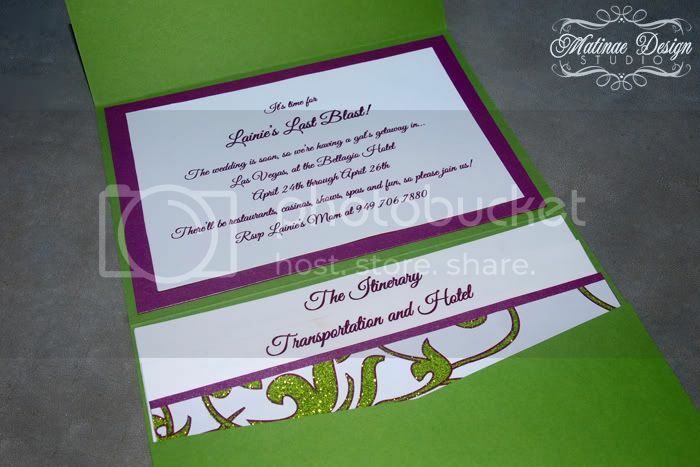 We searched around and found this fun paper that featured a lime green glitter scroll design that was outlined in purple. Perfect! 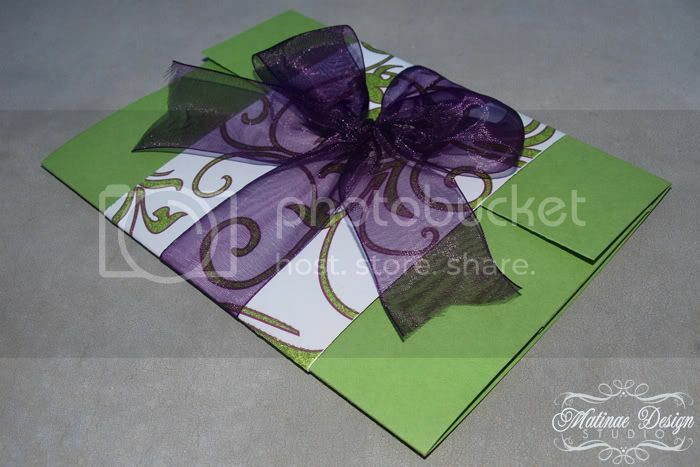 We paired it with a lime green pocketfold and matching envelope, purple metallic cardstock, sheer purple ribbon and a wrap label.